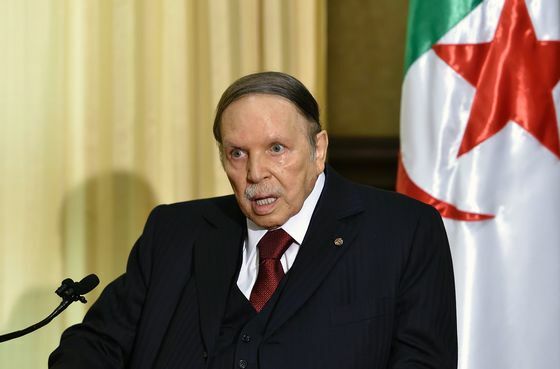 (Bloomberg) -- The resignation of Algeria’s ailing, octogenarian president, Abdelaziz Bouteflika, after 20 years in office failed to quell mass protests that have evoked comparisons to the Arab Spring of 2011. Algeria is not only one of Africa’s largest energy producers and a major supplier to Europe, but has also been a bulwark against Islamist militancy and undocumented migration from other parts of the continent. 1. Why are people protesting? They want to dismantle a political system they say is inherently corrupt and has concentrated wealth in the hands of a few connected businessmen. They not only called for Bouteflika’s departure but also have spurned possible successors who helped prop up his rule. Yet no new leaders have emerged since mass protests started in February. Instead, Abdelkader Bensalah, the head of the upper house of Algeria’s parliament, was named interim president until elections scheduled for July 4, and another establishment figure, former interior minister Noureddine Bedoui, was appointed prime minister. Protesters see them as Bouteflika cronies. 2. Why did Bouteflika fall from favor? Many Algerians who remember the decade-long civil war that ravaged their country after the military overrode an Islamist electoral victory in 1991 respect Bouteflika’s role in ending the conflict and credit him with restoring calm. But many others saw the 82-year-old president -- addled by a stroke in 2013 and rarely seen in public -- as a front for shadowy coalition of military, intelligence and business leaders who effectively run the country. Young people, for whom he’s the only ruler they’ve ever known, are outspokenly rejecting another Bouteflika-like figure as their next president. 3. Who can replace Bouteflika? It’s not yet clear. The former president’s circle needs to agree on a consensus candidate quickly to run in the election, despite not having been able to anoint an heir apparent during the relative stable final years of Bouteflika’s rule. The opposition is weak and fragmented and hasn’t yet been able to unify around a presidential candidate. 4. What started the protests? Demonstrations erupted in the capital Algiers after Bouteflika announced he would run for a fifth term, continuing even after he withdrew from the race and then promised to step down. The protests have also included strikes by workers, teachers and students and the closure of some shops and suspension of train services. Demonstrators and police have gone to great lengths throughout to keep the gatherings non-violent. 5. Has Algeria had unrest in the past? The Arab Spring that kicked off in neighboring Tunisia largely passed Algeria by, but Bouteflika’s tenure hasn’t always been peaceful. After his re-election in 2014, the government used a mix of water cannons, food subsidies and salary increases to contain smaller protests against the vote’s outcome. The higher wages raised state spending by 16 percent, which was manageable when oil traded over $100 a barrel but is harder to repeat now after four years of lower crude prices. 6. How’s the economy doing? Strained, but stable as long as energy prices hold where they are. Algeria relies heavily on oil and gas exports and has no other promising industries. The International Monetary Fund recommends that the country gradually depreciate its currency and open up more to international investment to help it grow and break its reliance on oil. The advice has largely gone unheeded. Algeria hasn’t developed its tourism industry or created jobs for its young workforce. The economy will be a major issue in the July election. 7. 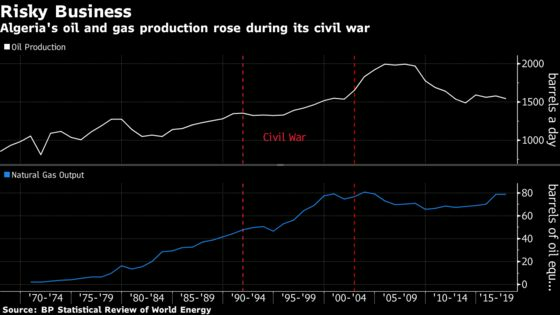 What does unrest mean for oil and gas? Except for a few protests at energy facilities, demonstrations have largely been held far from oil and gas facilities, which are located in remote areas. The state-owned oil company Sonatrach says production hasn’t been affected. Investors are still concerned that strikes may spread to Algeria’s energy industry. The interim government has said it will reopen a corruption probe into Sonatrach, which has been subject to multiple investigations in the past. The company cycled through six chief executives since 2010 and the government had six different energy ministers over the same period. The leadership turmoil could threaten international oil and gas deals. 8. How important is Algeria to world energy supply? It’s a member of OPEC but one of its smaller producers, pumping about a million barrels of crude a day. Still, it supplies more than 10 percent of Europe’s natural gas (making it the third-largest supplier after Russia and Norway), which it exports by ship and pipelines under the Mediterranean to Italy and Spain. The country has ambitious plans to develop its onshore and offshore gas fields, start a trading business, revamp and build refineries and boost output of petrochemicals. The expansion hinges on stable political leadership and new laws that would attract foreign investors. Stories exploring why Algeria’s youth grew tired of their ailing leaders, and how oil’s decline threatened Algeria’s stability. The country stepped up efforts to woo investors after oil prices collapsed in 2014. Bloomberg Opinion’s Bobby Ghosh examines the existential choice facing Algeria’s military. A look at the legacy of Bouteflika, Algeria’s longest-serving president. The nearly concurrent fall of Sudanese ruler Omar al-Bashir is prompting talk of a second Arab Spring.